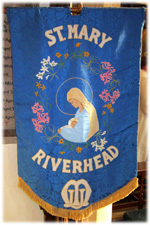 Welcome to the website of St. Mary's Church, Riverhead and Dunton Green. Whether you are a first-time visitor or enquirer, or a member of our Church community, we hope the information provided will be helpful. 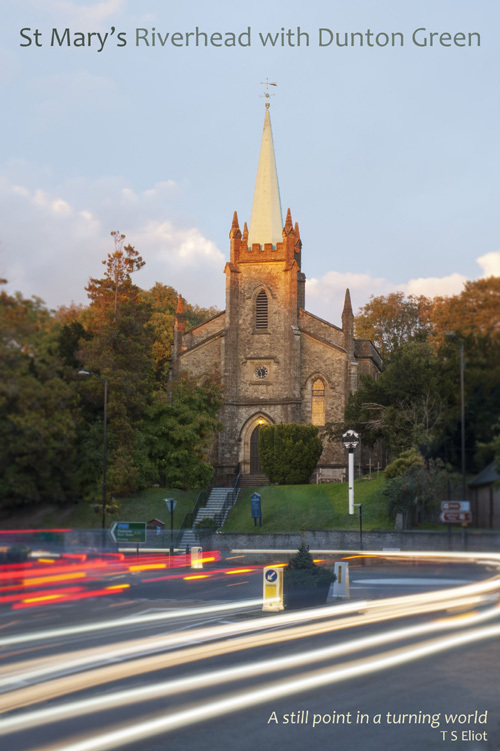 A summary list of dates of Notable Church Services and Events for 2019 can be viewed via this link. For all enquiries about our Church Hall, please do not contact the Vicar, but follow this link. The APCM and the Vestry Meeting to elect Churchwardens took place on Sunday, 7 April 2019. Alison Bull and Rachel Wigley were appointed as Churchwardens. Simon Bull and Sarah Stott were elected as new members of the PCC. Existing PCC member Susan Allender also took over the role of Parish Safegurading Officer (for Children and Vulnerable Adults). Papers/reports tabled at the meeting can be accessed via the 'Other Information/Downloads area'. The constitution of the PCC is now as shown on the following page: 'Other Information/PCC Members'. This year: Maidstone Area Parents Support (MAPS) Group, Kerry West Orphanage Project, Mercy Ships, as well as the Rochester Diocese Povery & Hope Appeal. As usual, the intention will be to invite representatives to 9:30am Sunday services, spread throughout the year, and to have retiring collections. On Sunday, 24 March 2019, Kerry West visited us and spoke about her charity, the Kerry West Orphanage Project. As well as a retiring collection, Kerry also said that donations of simple items would also be appreciated - please see the following list. The Bible Study Group meets on Mondays, at 10:00am for 10:15am, in the Church. We are just finishing a course and are discussing what to do next. If you are interested, please do come along or get in touch with Ronnie or Daphne. Initial information has been received that Churches Together in Sevenoaks and District (CTSD) will, once again, be organising Ecumenical Lent Groups for five weeks in Lent, starting in the week beginning 11 March 2019. As in previous years the course being used has been produced by 'York Courses'; this year's is entitled 'Daring to see God now'. A poster can be viewed by following this link. Further details and application forms can be viewed by following this link. It was announced to the congregation, in December 2017, that the Bishop was to give some consideration to a possible reorganisation of the three Parishes of Kippington (St Mary), Riverhead with Dunton Green (St Mary) and Sevenoaks (St Luke). Below is a collection of documents which provide the latest position on these developments. Further details can be obtained via the Churchwardens.